CAPR is a nonprofit 501(c)(3), registered in South Dakota as an archaeological research center dedicated to discovering evidence of the earliest humans in the Americas. To achieve this goal we are systematically investigating geologic deposits that are more than 15,000 years old, reexamining museum collections and performing archaeological experiments. Our research team is directed by Steven R. Holen, PhD., an archaeologist with more than forty years in Paleoindian archaeology. 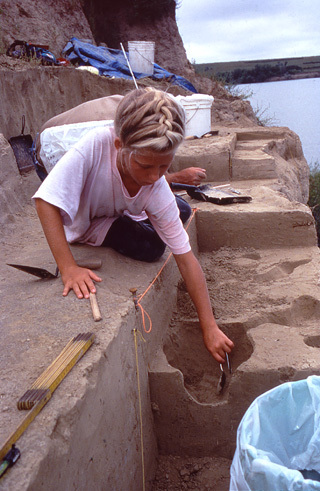 Field research is central to CAPR's effort to find evidence of early people in the Americas. Through systematic identification, survey and excavation of sedimentary deposits older than 15,000 years we are actively searching for and testing new sites for evidence of early humans. We do not limit ourselves to the search for stone tools. Instead we look for the full range of human behavioral and technological indicators. 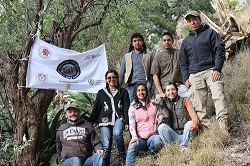 CAPR provides support to professional and student archaeologists who share our research goals. 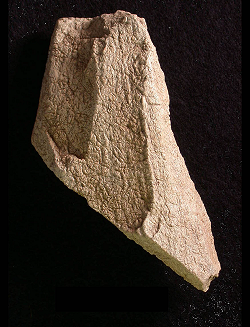 Understanding ancient technologies is sometimes difficult because natural processes occasionally mimic human stone and bone technology. Experimental archaeology informs us about how humans produced the technological patterns visible in the archaeological record. CAPR maintains an active experimental archaeology program focusing on bone modification. Curated museum collections provide another valuable source of research data. 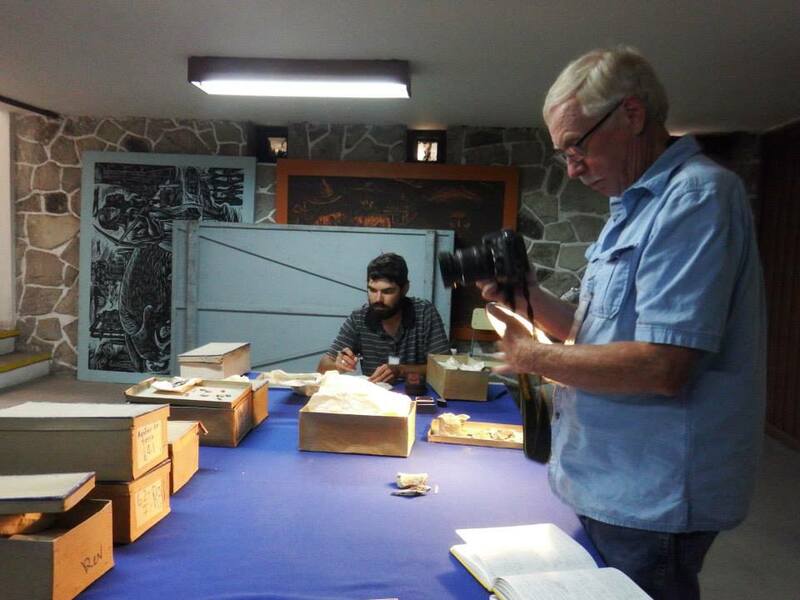 CAPR archaeologists reevaluate museum collections for evidence and apply new analytic techniques. We also work closely with avocational archaeologists. 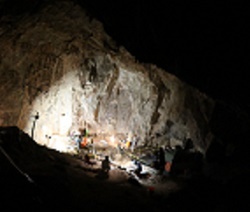 Both museum and avocational collections have led us to new sites that contain evidence of early humans in the Americas. CAPR's outreach and educational program disseminates the results of our research through professional and popular publications and presentations to avocational and professional audiences, community groups, college classes and school groups. Presentations can be scheduled by contacting CAPR at 720-217-6758 or by email at capr@goldenwest.net. Curtis Runnels is Professor of Archaeology and Chair in the Archaeology Department at Boston University. He has conducted research in Greece, Turkey, and Albania since 1973, primarily on the Palaeolithic and Mesolithic. Recently his research has been focused on early hominin dispersals and Pleistocene seafaring as a result of the discovery of Palaeolithic stone tools (age greater than 130,000 years) on the Greek island of Crete in 2008-2009. This interest led him to consider the peopling of the New World as viewed from an Old World perspective, and to undertake a re-evaluation of some early claims for pre-Clovis sites in North America. 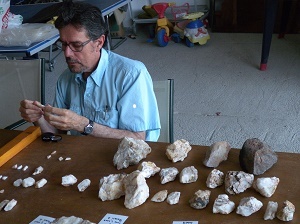 In recent years he has examined collections of stone tools in museum collections, among others the Peabody Museum (Harvard), the New Jersey State Museum in Trenton, the Museum of Man in San Diego, and the Museum of Anthropology at the University of Denver. Dave May is a Professor of Geography at the University of Northern Iowa. He has conducted geoarchaeological research in the Great Plains of North America since 1982, primarily on Paleoindian and pre-Clovis sites focusing on their alluvial stratigraphic context, and more broadly, Late Pleistocene landscape evolution. He has worked on the alluvial and eolian stratigraphy of many mammoth sites in northern Kansas and Nebraska with Steve Holen. Dave is planning to work around Pleistocene playas in western Kansas in the near future. Kathleen Maule Holen received an MA in Archaeology with Distinction in 2009 from the University of Exeter, UK. She previously received an MS from the University of Michigan in 1985 and retired as a Nurse Practitioner in 2010 to begin a career in archaeology. Kathleen founded the Center for American Paleolithic Research in 2012 and continues as the Administrative Director. She has participated in the research of Steven Holen since their marriage in 2001. Together they continue to investigate early human dispersals into the Americas. In addition, she studies prey animal bone modification and its implications for human behavior, expedient bone tool manufacture and use, cognitive archaeology and the archaeological importance of dog domestication. 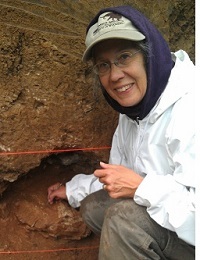 Kathleen has regularly presented papers and posters at annual archaeological conferences and is coauthor on two book chapters that document evidence of the early peopling of the Americas. She has presented and published on archaeological topics for children. Along with Steven, she has lectured to numerous avocational archaeological societies as a participant in the lecture series sponsored by the Archaeological Institute of America.